A poor maintenance routine is the biggest cause of engine lubrication problems. A neglected engine that needs to be repaired or replaced is typically the costliest issue a driver can face. 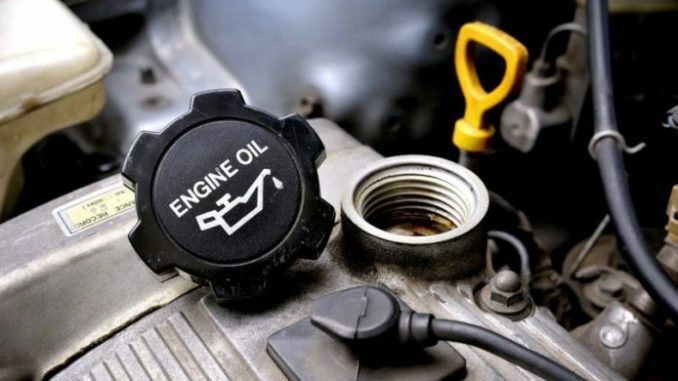 Extended oil change intervals are partly responsible for low engine oil levels and subsequent lubrication problems. 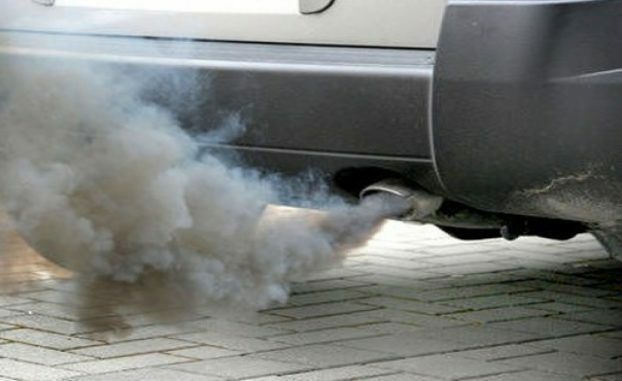 Excessive engine oil sludge will eventually clog the engine’s oil pump pickup screen, oil filter and oil galleries. Broken timing belts are also symptomatic of oil lubrication problems on overhead camshafts. Every engine needs oil between its moving parts not only to reduce friction but also to carry away heat. 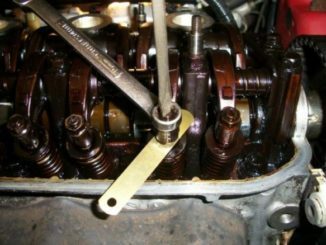 Oil is the primary means by which the rod and main bearings, as well as the pistons are cooled. So any reduction in oil flow may cause these parts to run hot, gall and seize. Detergents contained in fresh oil will accelerate the clogging of oil pump screens and oil filters by loosening accumulated sludge. Volumes of engine sludge and dirty engine oil can easily clog today’s compact oil filters. Quite often the oil filter bypass valve will open during cold engine starts. As a result, more sludge and dirt will pass into the engine bearings and reciprocating parts. In addition, engine life is drastically shortened when operated at extreme temperatures and loads. Low oil pressure is often a contributing factor in engine failures. 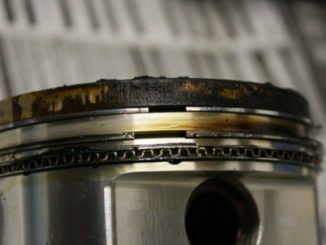 The underlying cause may be a worn oil pump and/or excessive clearances in the main and rod bearings. Most of the time as a result of high mileage wear or neglect. 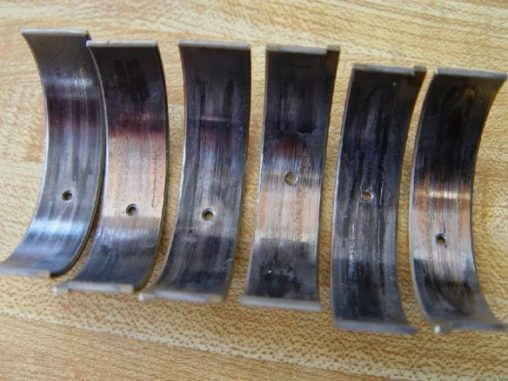 Bearings that have been damaged as a result of lubrication problems will be shiny and worn where the crankshaft journal wiped away the bearing material. Overhead cam engines are even more vulnerable to oil starvation and low oil pressure problems. Due to, The cam and valve train being farther away from the oil pump. When an OHC engine is first started, it takes awhile for oil pressure to reach the cam bearings or journals. If the oil viscosity is too heavy, it may delay the arrival of oil long enough to starve and seize the camshaft. For this reason, most vehicle manufacturers recommend using a 5W-30 oil in late model OHC engines year round. So, Refilling the crankcase with the recommended viscosity oil can prevent a second failure of this type. A low oil level can also be the result of neglect, oil leakage and/or oil burning. If the oil burning is due to worn or broken rings, or wear in the cylinders, the engine will have low compression. 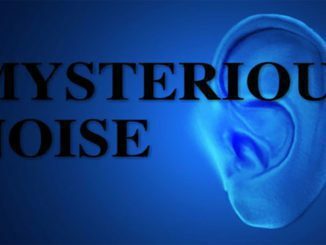 The only cure here is to bore or hone the cylinders and replace the worn or broken piston rings. Most often it requires installing new guides, guide liners or valves with oversize valve stems. Consequently, Installing new valve guide seals can often reduce oil burning dramatically. Any evidence of oil leakage would tell you new gaskets and seals need to be installed. Gaskets and oil seals should be replaced if worn or leaking, or whenever removed during servicing. Replacement is simple, but some engine dismantling may be necessary to reach them. Check for a plugged oil filter and/or a missing air filter or oil filler or breather cap. The underlying cause here may be not changing the oil often enough. Regular maintenance might seem pricey, but it’s also critical to keeping your car in good working condition. Finally, be sure to keep up with routine oil changes and other maintenance.